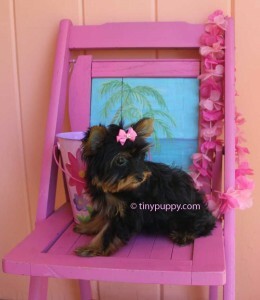 This little yorkshire terrier puppy is Demi. 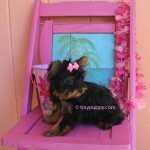 Oh my goodness she is such a doll. Demi is a pretty as can be. Her little smile lights up the entire room. 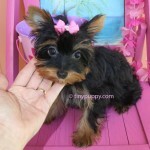 She is only 2.6 lbs and 4 months old. 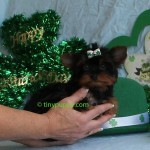 She is a beautiful very dark Black and Tan. Her mother has several champions in her bloodline from the Pastoral lines. Her Dad is a Golden Sable color with Chocolate Bloodlines. 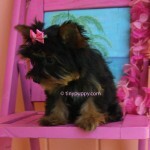 She is ready now to be your little sweetie pie.